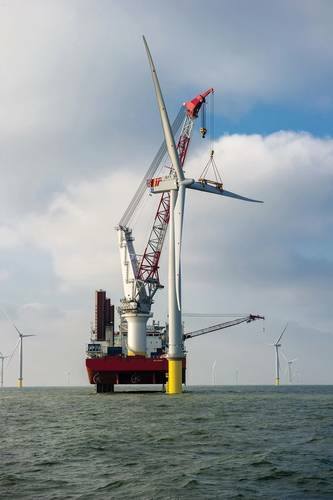 When one thinks of offshore renewable energy, one usually thinks of offshore wind. 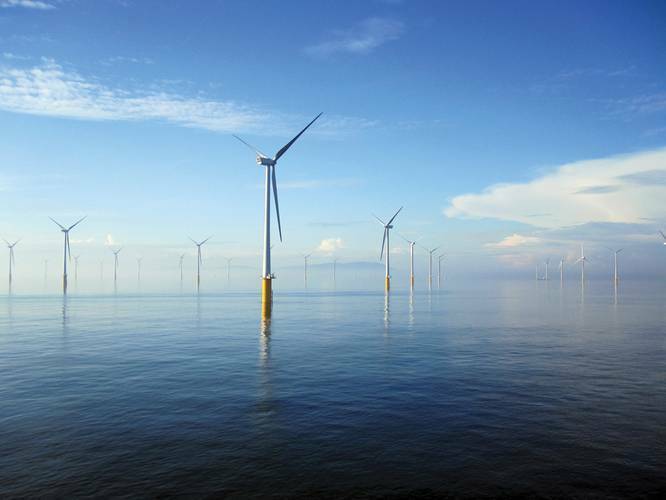 For the first time progress is being made in the U.S. to develop offshore wind resources. The first steel foundation jacket has been placed in the ocean floor to support the Deepwater Wind project off the coast of Block Island, Rhode Island. (See www.dwwind.com/press/#/1). But recently, progress is also being made in the development of tidal and wave energy resources closer to shore, which are known as marine hydrokinetic or MHK resources. MHK projects generate electricity from waves or directly from the flow of water in ocean currents, tides or inland waterways. Ocean thermal energy is also part of the MHK equation but has not been actively pursued in recent years. 1.) The technically recoverable resource for electric generation from waves is approximately 1,170 terawatt-hours (TWh) per year which is almost one third of the 4,000 TWh of electricity used in the U.S. each year. Approximately 85,000 homes can be powered by 1 TWh/year. 2.) The technical resource potential for tidal generation is estimated to be 250 TWh/year. Alaska has the most locations with high kinetic power density, followed by Maine, Washington, Oregon, California, New Hampshire, Massachusetts, New York, New Jersey, North Carolina, South Carolina, Georgia and Florida. 3.) The technical resource potential for electric generation from ocean thermal resources is estimated at 576 TWh/year in U.S. coastal waters, including all 50 states, Puerto Rico and the Virgin Islands. With support from the federal and state governments and industry, these resources could provide an excellent source of renewable energy for generations to come. Funding to support the development of MHK technology is available from both DoE and the Navy, and the two agencies often combine their resources to promote this new energy resource. The Navy has its own test site for wave energy in Kaneohe Bay on the island of Oahu, Hawaii. Last year, the Navy awarded $8 million to the University of Washington to develop marine renewable energy for use at the Navy’s facilities worldwide. This is intended to help the Navy meet its commitment to get one-half of its energy from renewable sources by the year 2020. (http://www.washington.edu/news/2014/10/24/u-s-navy-awards-8-million-to-develop-wave-tidal-energy-technology/). In July 2015, the Office of Energy Efficiency & Renewable Energy of the DoE announced that a prototype wave energy device, called Azura, developed by Northwest Energy Innovations of Portland, Oregon, has advanced successfully from initial concept to grid-connected, open-sea pilot testing. Azura was recently launched and installed in a 30-meter test berth at the Navy’s Wave Energy Test Site in Hawaii. The test will allow researchers at the University of Hawaii to evaluate the long-term performance of the nation’s first grid-connected wave energy converter device. The device will also be feeding renewable electricity to Marine Corps Base Hawaii. (http://energy.gov.eere/articles/innovative-wave-power-device-starts-producing-clean-power-Hawaii/). 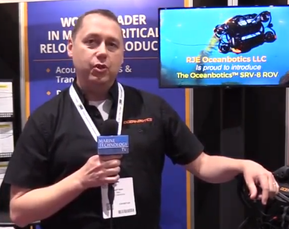 Other wave energy device tests, supported by a total of $10 million in funding from DoE in 2014, include an Ocean Energy Buoy developed by Ocean Energy USA of Sacramento, CA. (http://energy.gov/eere/articles/energy-department-announces-10-million-full-scale-wave-energy-device-testing). If a MHK project is located in state waters, permitting is provided by the Federal Energy Regulatory Commission (FERC). FERC’s authority to regulate MHK projects in state waters is derived from Part I of the Federal Power Act (16 U.S.C. 791a et seq.). A user-friendly guide to FERC’s licensing procedures is available at: www.ferc.gov/industries/hydropower/gen-info/licensing/hydrokinetics.asp. MHK development in federal waters is regulated by the Department of the Interior’s Bureau of Ocean Energy Management (BOEM), but no projects have yet emerged in federal waters. As of July 10, 2015, FERC had issued eight preliminary permits – two tidal, three wave and four inland MHK projects; four licenses for tidal pilot projects; and four projects were in the pre-filing stage. The eight preliminary permits include two projects in the Niagara River; three in Alaska (Kvichak River, Cook Inlet, and the Gulf of Alaska); two in Morro Bay, CA; and one in Ft. Pierce Inlet, FL. The fully licensed projects include Verdant Power’s tidal project in the East River, NY; a project in Admiralty Inlet, Puget Sound, WA; ORPC Maine’s tidal project in Cobscook Bay, ME; and Whitestone Power’s tidal project in the Tanana River, Alaska. The President’s budget for FY’16 requested $40.8 million for these programs, a decrease of $300K from FY’15. As of this writing, the House has appropriated only $21.8 million for MHK, but the Senate has increased the budget for MHK support to $42 million. The Senate funding includes $20 million for a balanced portfolio of competitive private sector-led research, development and demonstrations and $5 million for an open water, fully grid-connected wave test facility. Unfortunately, it is likely that Congress will adopt a Continuing Resolution or CR for at least part of FY’16 and perhaps even all of the fiscal year which will hamper any new program starts and could limit grant opportunities. Some states have provided support for MHK projects but this is, understandably, largely dependent on their location and proximity to tides and waves. For example, the NYS Energy Research and Development Authority (NYSERDA) has actively supported Verdant’s Roosevelt Island tidal project at Roosevelt Island in the East River, NYC. (www.nyserda.ny.gov/Partners-and-Investors/Clean-Energy-Startups/NYSERDA-Catalyzes-Investments/2012-07-02-Verdant-Power). 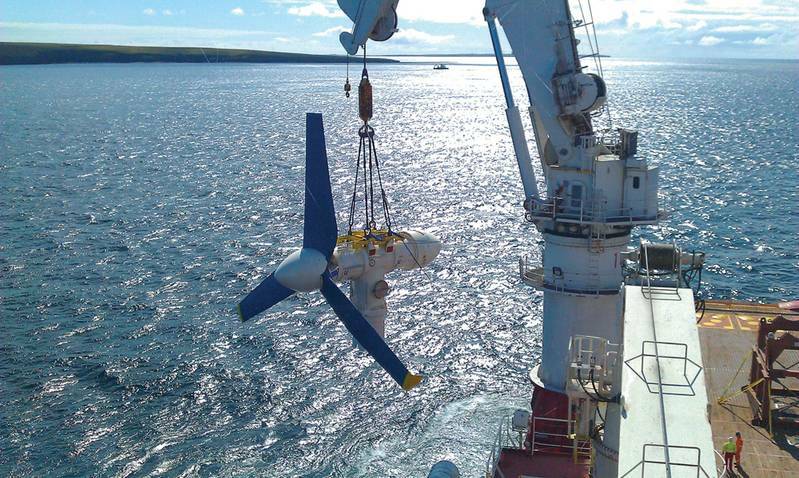 Alaska has been supportive of the tidal power being developed in Cook Inlet, which is estimated by ORPC of Alaska to have 90 percent of the U.S. total tidal power potential. (www.orpc.co/content/aspx?p=Yojopy2b9VQ%3D). Maine has been supportive of ORPC Maine’s tidal energy project in the Bay of Fundy. (www.orpc.co/content.aspx?p=h3jCHHn6gcg%ed). This project alone has been estimated to have injected $21 million into the Maine economy and supported more than 100 jobs in 13 Maine counties. (http://www.3degreesinc.com/projects/renewable-energy-projects/maine-tidal-energy). The recently-reported Senate Energy Policy Modernization Act of 2015 has a separate section to promote the development of MHK resources through the establishment of new demonstration centers, and an increase in the authorization levels for these programs. (Sections 3013-3016.) But, of course, it remains to be seen what funds are actually appropriated. The FERC permitting process, while thorough, has perhaps been slower than some applicants might like; however, the agency has issued a number of licenses for pilot projects. In summary, companies are left largely on their own to develop, fund and promote MHK technologies with limited federal and state support. 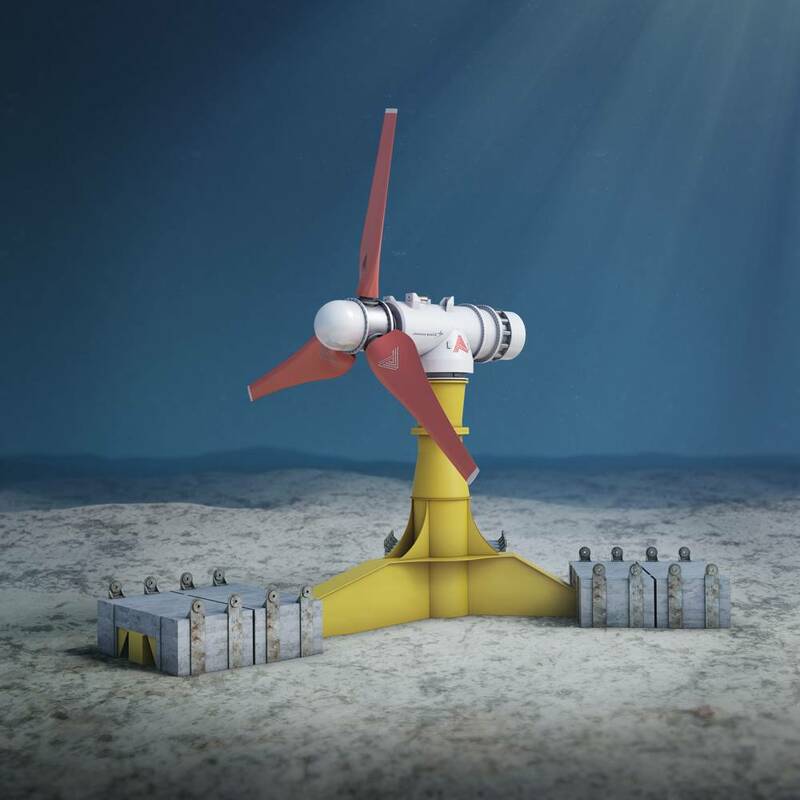 However, with the expected progress for wave power in Hawaii at the Navy’s test site, and reasonable progress in NYSERDA, Maine and Alaska for tidal power, perhaps we will see other companies enter the fray and produce more innovative and cost-effective technologies. These resources can certainly complement the growth in wind and solar that the U.S. has experienced in recent years. They can also play a role in helping states with wave and tidal power potential to implement the new Clean Power Plan that President Obama announced on August 3, 2015. (https://www.whitehouse.gov/climate-change).